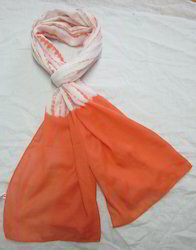 Leading Exporter of rayon color shaded head scarves, 100% cotton shaded scarfs, cotton shaded scarves, ladies fancy dupattas, ladies cotton shaded scarves and shaded cotton stoles from Mumbai. Can make in any size, colours, designs, etc. 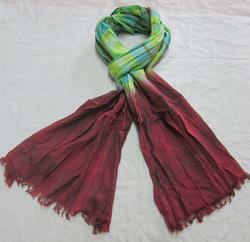 we also make scarves ,stoles, pareos, bandana, shawls ,triangle ,sarongs ,belts ,beachwear kurtis,belts ,etc. Can make in any size, color, design, etc. 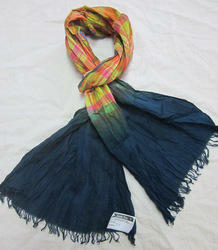 100% Cashmere Scarf that is available in a variety of embroidery designs and prints. Our 70 x 200 cm scarves add perfect accent to feminine style. 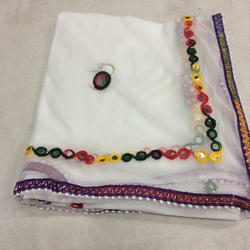 Moreover, the embroidery designs in vibrant color combinations look extremely elegant. We are offering these in a plethora of designs and patterns as per clients’ requirements. We specialized in custom design. Buyer designs are welcome. Can make in any size,color,design,etc. We Specialized in custome design. We specialized in OEM, wholesale & Promotional Items. 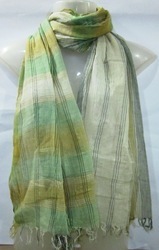 visit to india for scarves, scarfs, stoles, bandana, kurtis, pareos, sarongs, belts, ties, beachwear, etc.